This makes it idiot-proof and even imbeciles like myself can make some decently delicious food with it. Mainly very delicious soup. It’s like a blender that can heat things also. So don’t plan on frying, searing or anything like that. It’s better to stick to soup. At a hefty price tag of $2k, you might be better off just looking up recipes here and getting yourself another prep & cook blender that can heat things… like this $400 one that has great reviews on Amazon. The recipe to success is… just kidding, we’re only making soup. 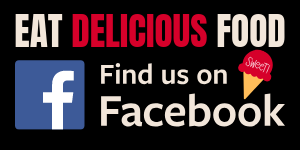 It’s simple, but effective at creating a tastebud explosion on your tongue. 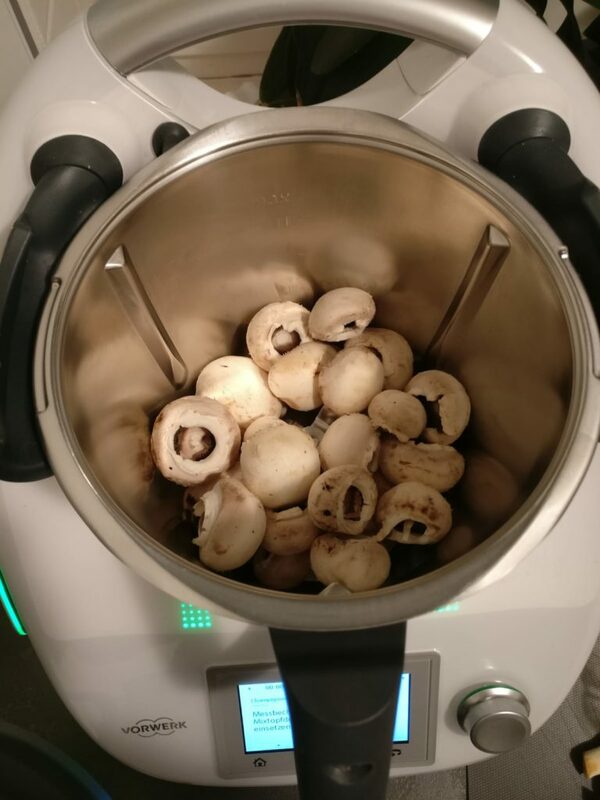 Step 1: Put the mushrooms in your magical soup making prep n cook blender (i.e. 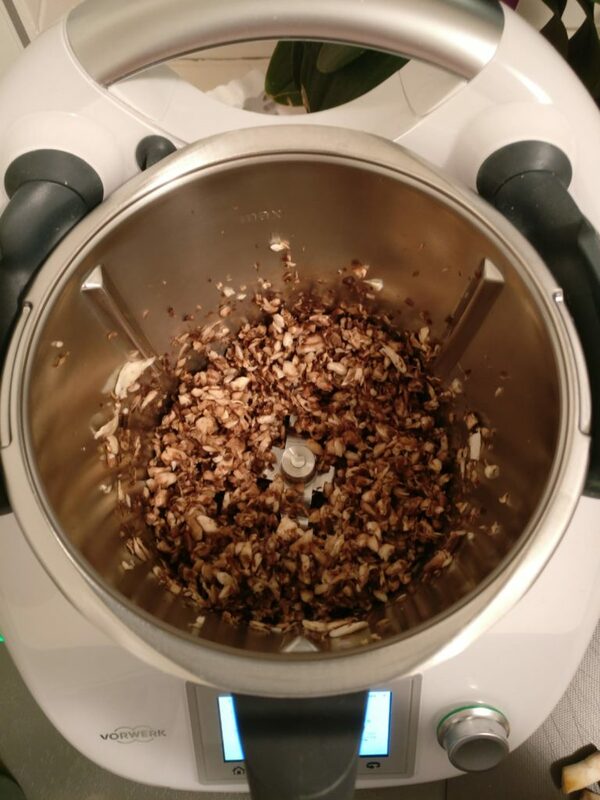 Thermomix) and shred them for five seconds. A regular food processor or blender can also do the trick I’m sure! Even a stick blender will do. Step 2: Add water, milk, bouillon, flour and salt. Have it cook at 100°C (212°F), so right at boiling/simmering temperature if you’re just using a pot to cook it, for approximately 10 minutes. 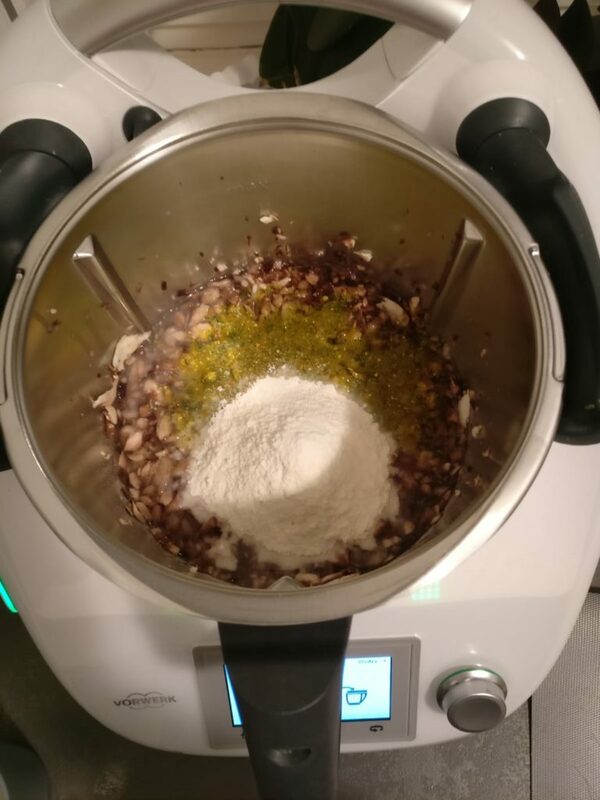 The Thermomix should then stir it at level 3, which is pretty slow… so stir it slowly if using a pot. Step 3: Add heavy cream, parsley and cheese spread. Cook it for two more minutes at slightly lower heat (90°C/194°F says the Thermomix) and keep stirring it. If it’s a prep n cook blender like the Thermomix, it should be stirring that delicious soup at level 2 for those two minutes. If you’re using a spoon (how dare you), your arm may get tired. Stir slowly. 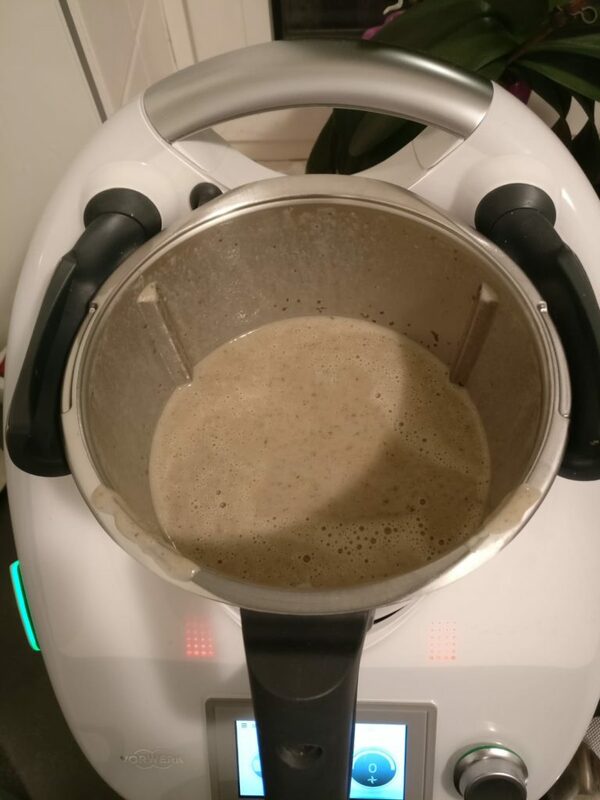 Step 4: Blend well for 30 seconds, gradually increasing the speed from 4 to 7 if using a Thermomix. If you aren’t using a prep & cook type blender, you probably have to transfer everything from your pot to your blender or food processor. Or use one of these stick blender things. I think the stick blender option is better, because then you can just keep the soup in the pot. 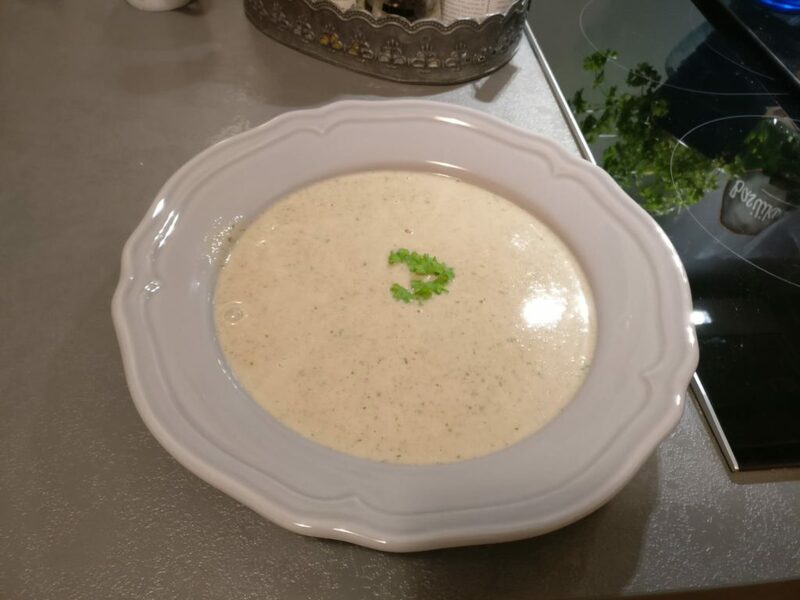 Step 5: Serve and eat your delicious cream of mushroom soup. I just gotta leave you with this classic from Seinfeld. The Soup Nazi episode is still one of my favorites. No soup for you!